If you are looking for an easy treat to make for the holidays, this is it. Another treat that makes a great little gift, packaged in little cellophane bags, tied with festive ribbon. Or fill up a nice decorative tin! There are quite a few different treats that I make for the holidays, but I gotta tell ya, these are always a favorite and always requested. People love cookies and cream….who doesn’t like Oreo cookies! I have even made these with the mint Oreo cookies and those are pretty darned good too. Not a baker? Well, then use a store bought cake or some plain donuts. Seriously, the donuts work great. 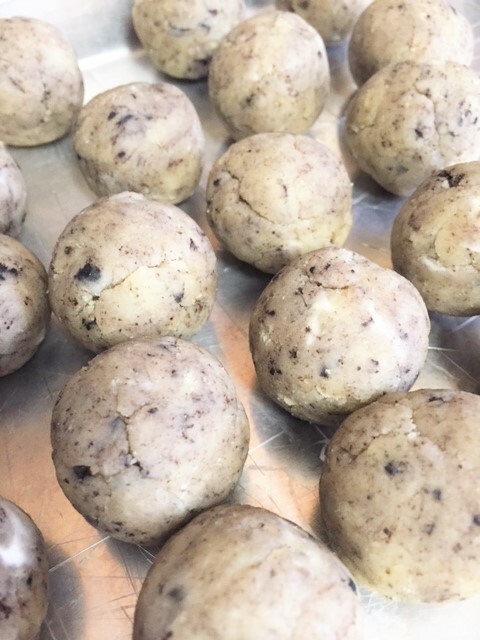 So, grab a box of cake mix….some Oreo cookies and lets play with snowballs. Bake the cake according to the cake mix directions. Allow to cool completely. In the meantime, remove the filling from 5 of the cookies and throw away that filling. Crush up the cookie parts and the other 5 whole cookies that have the filling. I use a food processor, but you can put the cookies in a zip lock bag and using a rolling pin, crush them up. In a large bowl, break up the cake into crumbs. Add the crushed Oreos and the cream cheese. Mix it all up. You may want to use your hands to mix this. But make sure you use clean hands! You will want a consistency that you can roll into balls without crumbling. If your mixture is too dry, add a wee bit of cream cheese. Roll into 1″balls. 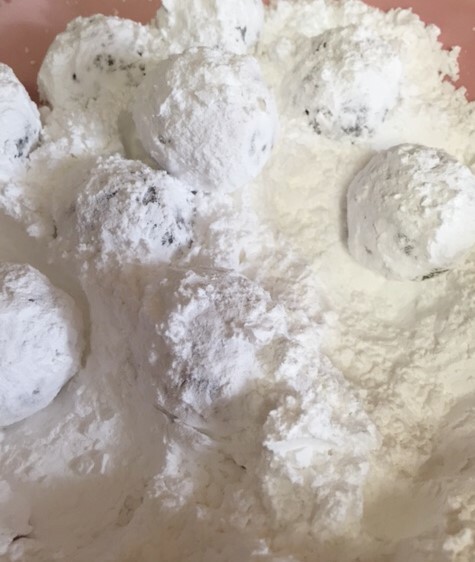 Roll balls in powdered sugar and let sit. 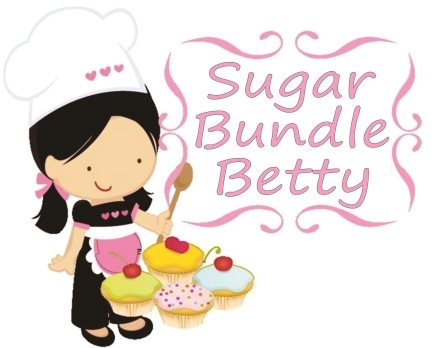 Snowballs will want to absorb the powdered sugar, so after about 20 minutes, roll in powdered sugar again. 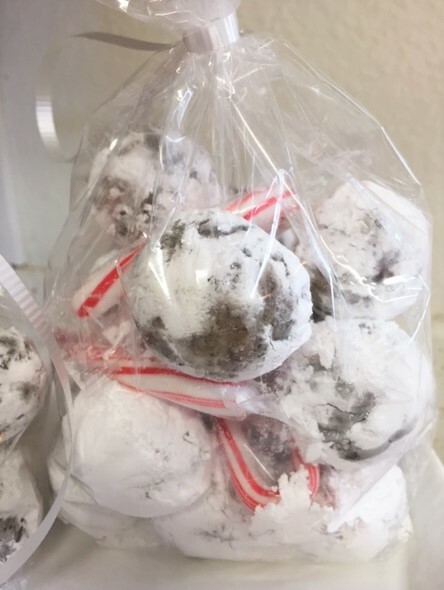 Package snowballs in bags, tin, boxes, etc. Sprinkle even more powdered sugar into containers, once packaged. That’s it! Easy right?